In restaurant Jour de Fête (French for ‘Holiday’), I always feel like I’m a little kid at my own birthday party: bright colors everywhere; little colored flags decorating the walls for this special occasion; and I’m absolutely certain that I must be the happiest person in the room. Why am I so delighted about Jour de Fête? 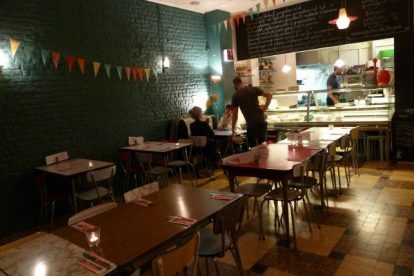 For me, Jour de Fête is just one of the best restaurant options in Brussels’ city center.